A central heating boiler is at the heart of every home in the UK but if it’s inefficient or not working properly you’ll soon be wasting lots of money. The best time to consider replacing a faulty or inefficient boiler is during the summer when you’re not so reliant on it. G-rated boilers for example have been estimated to be less than 70% efficient which works out at 30p per every pound in wasted energy. Switching to an A-rated high efficiency boiler could save as much as £300 per year according to recent research, and that is in addition to saving carbon emissions. Summer is the quiet period for boiler suppliers so another reason for thinking about this is that you could pick up a few bargains along the way. 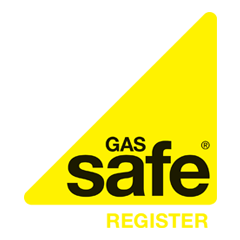 British Gas are one company that is taking advantage of the opportunities for new sales that are available at this time of the year for exactly the reasons outlined above. They are offering practical information for those who need to maintain or replace their boiler and they also offer a range of boilers which are all, themselves, A-rated as being highly efficient. A British Gas service engineer can also visit your home to assess whether the boiler is operating efficiently as well as offering advice on energy efficiency. They also offer a boiler scrappage scheme for a limited period in which householders can receive £400 scrappage discount off any new boiler installed by British Gas. This however is only valid until the end of June. Affordable options include conventional or condensing boilers and combi boilers. More generally the best way to get a great deal is to enquire politely but with a firm commitment in return for a discount. As a general rule 10% to 20% is the figure should be asking for in terms of a discount. One of the best types of boiler to consider is a Combi boiler, which has quickly become one of the country’s most preferred options for several important reasons. With a Combi boiler you don’t need a water tank taking up space in the loft or airing cupboard as they heat water straight from the mains supply. So, start thinking about replacing your boiler now if it is inefficient or outdated. You’ll soon start to notice the difference in your energy bills, and that should be of importance to everybody, especially when fuel bills are rising all the time.